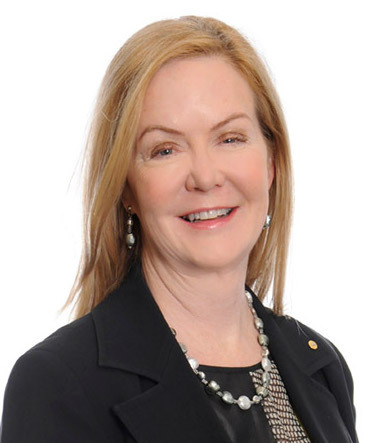 Lisa Paul AO PSM, previously secretary in Federal Government departments including for education and employment, talks with SVA’s COO Susan Metcalf about the challenges of leadership, its loneliness and rewards. Lisa Paul spent 11 years as secretary of Federal Government departments prior to leaving the public service in 2016. 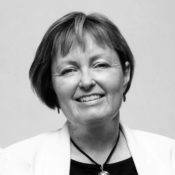 Lisa has had various board roles and interests across the social sector including as an SVA board member since 2013. Lisa Paul: I stood for Indigenous business being everyone’s business. Susan Metcalf: You had national responsibility for all aspects of education, from early childhood through to postgraduate research science, as well as employment and workplace relations. 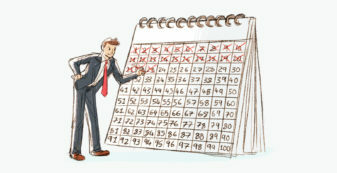 Can you describe a day in your life as a secretary? Lisa Paul: Well, a typical day was never typical. I’d come in expecting to do A-Z, and I’d end up doing A-G and 1-100. You never actually knew what was going to happen on any given day. So I would often be asked by my own staff, ‘How do you juggle all that’, and I’d say, ‘Well, I triage it’. If it was looking like it might become a car wreck, then I’d definitely be on the scene. If it was going fine, then I was happy to leave it with others. You must have had a very strong team supporting you? Yes, I had a great team. When I became a chief executive, I realised that that was the number one thing… It was lonely to make the most senior staffing decisions because no-one can help you. A government secretary doesn’t have a board, or a chairman; it’s up to you. How did you maintain your vision as a leader of such large and important departments? Over time, I reflected deliberately on what my role was. I decided that it was to be number one policy advisor to the government of the day – and I worked for five prime ministers and nine cabinet ministers in the 11 years, as well as many other ministers. I would advise, sometimes privately, sometimes with other people, sometimes with stakeholders. Usually it was the minister that I worked to, or the cabinet, or the prime minister. It could be on anything: policy, strategy or tactics; a long-term or an urgent issue. They’d said… we want our leaders to care for us in a genuine way. That was the upwards. Downwards was the absolutely traditional chief executive role at a large corporation. I loved that role, being a leader of people. And then being the number one representative of the department outwards to stakeholders. All those roles are quite different. I worked on those definitions of leadership for my entire career. It informed everything I did. For example, when we considered senior executive remuneration advancement, 50% of advancement was based on getting the outcomes, but 50% was based on what were they like as a leader and what did their staff and stakeholders say about them. I’m absolutely positive that that second 50% raised the bar of leadership. Decent, courteous, respectful, consistent behaviour, which I think is the essence of leadership. … you can’t get in front of a great structure if you’ve got a bad or toxic culture. I thought a lot about culture. As a leader, I’m a culturalist, not a structuralist. In other words, you can work with a crummy structure if you’ve got a great culture, but you can’t get in front of a great structure if you’ve got a bad or toxic culture. Lastly, what did I stand for? Through my whole secretaryship, I decided that I stood for Indigenous business being everyone’s business. I started every speech in that way and we focused everything we did on Indigenous recruitment, retention, and advancement. At one stage, we had 6% of our people being Aboriginal and Torres Strait Islander Australians. It sounds like you thought quite deliberately about the type of leader you wanted to be and the things you wanted to share with your people? Absolutely. I reflected more and more on it as the years went on. It was the thing that would wake me up early in the morning. I was good at switching off at night, because you have to look after yourself in these positions. But, if there was something that I really needed to think about in this area, like how do I define a new culture when I had to create a whole new department on a change of government, then I would wake up earlier and earlier! How did you go about motivating a large team around common purpose particularly when you have those changes of government, and so many organisational changes as a result. About every six months we had what would be considered in private sector a merger or acquisition. In government, we call it machinery of government (MOG) change. It becomes a verb, a noun and an adjective; people get ‘MOGed’. It goes on almost constantly and it can be quite wearying. A lot of people don’t like change. So my technique for dealing with it was to explain really clearly why it was happening, why the government had made this decision – to add something to us, or to take something away, or to change our structure – or why there was a policy change and what was in it for Australians and others; why the government of the day was choosing to do this. … the bigger the change, the more channels and the more communication I would want to offer. You have to give context. They’re always going to be doing it for a reason; it’s never random. People would say, ‘Okay, I get that. I understand why this change is happening.’ But change is always hard. So the next thing is how do you communicate it, and how do you let people express their anxieties about it? My strong belief is that you need to give multiple channels for communication. Outwards, downwards, but also, even better, multiple channels for communication upwards. So the bigger the change, the more channels and the more communication I would want to offer. Quite frankly, you can never communicate enough. You can help people understand the change and you can just keep talking about it. Then you have to make decisions as quickly as possible about how it affects them. What difference is it going to make, and how should they think about it in their daily work? It sounds like some great advice to leaders across the social sector who are constantly facing change. Yes. Think through, ‘Okay, why is this happening?’ and ‘Why did the decision-makers make this decision?’ Even if I don’t like it at the time, if I can understand the rationale, then people are grown-ups and they’ll understand why change is happening. Then it’s a matter of making it as easy as possible for them. You’re touching on something that’s common to both government and the social sector – and that’s the deep attachment that staff often have to the organisation’s purpose. When I talk about leadership, I’d say describing the strategic direction is one of two planks of leadership. It’s incredibly important to describe the destination. Where is my work heading? Where is my section’s work heading, my group’s work heading? Where is the department heading? Where is the department sitting in the Australian economy? Where is the Australian economy heading in the global economy? How are we all connected? How is my work connected to our visoin. But when there’s change, you have to describe the destination differently for every person in your team according to their style. Some people who enjoy ambiguity will just need the destination described. Some people will need simply to know that there’s a bridge to this destination, and it’s got six lanes on it. Some people will need every brick in that bridge described. As a team leader, you must know what each of the people in your team need to cope with change. Secretaries, it seems, have become more high-profile. How do you operate as a leader in that environment having the overlay of public scrutiny? I never chose to take profile. I would give speeches, but generally not on government policy. They would be on women and leadership, change management and so on. I chose not to be in the media’s eye. However, you are absolutely correct that government officials, and particularly politicians, are under incredible scrutiny. There’s been public scrutiny for ages and ages at a higher level than in other sectors, through things like senate estimates, which are televised, and someone always ends up in headlines of some sort, somewhere, the next day. But these days with social media it’s just unavoidable. I have the greatest admiration for politicians, because they are under incredible scrutiny every minute of every day now. You’ve got the normal, high level of scrutiny because governments are dealing with taxpayers’ money, added to the normal media scrutiny, added to technological change, which allows media scrutiny to be ever faster and the media cycle to be ever shorter, added to social media. The combination of all that means huge pressure and not always fair judgments made on what’s actually going on. You worked on two of the key planks that could reduce disadvantage across Australia: education and employment. 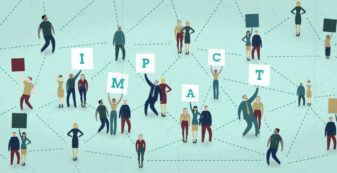 How much capacity did you feel you had to really make a difference to people in those areas? That’s why you work in government. The capacity to make a difference is huge. When we surveyed our own staff, what kept them at work and motivated was always the capacity to make a difference. I would occasionally, when I was lucky, hear someone’s story about the difference we had made to their life. Indeed one of my staff, my most senior indigenous leader, would tell his story about how some of our education programs helped him be the first person in his entire family to go to university: the difference that’s made to him, then the difference that’s made to his family, and the flow-on effects. It’s a very similar motivation, of course, to the not-for-profit and social impact sector. I’ve heard stories about how breakfast programs in the Northern Territory helped get Indigenous women involved in their children’s schooling, and then got them wanting to read the recipes, and then wanting to undertake adult literacy, and the huge benefits for their own employment, let alone their kids’ schooling. The stories are fantastic. That’s why politicians do it. That’s why government officials do it too. It’s a very similar motivation, of course, to the not-for-profit and social impact sector. You can spend all sorts of money on things that don’t make a difference to people who are disadvantaged. I love SVA because our focus is absolutely unrelenting on understanding through real evidence the ways to spend money for genuine change. How did you operate in an environment which was say the whole education system and were reliant on other departments and bodies around you, and you needed lots of other people to help you get done what you needed to do? Almost everything that I did, especially in education, relied on state governments and sometimes on local governments, for example occupational health and safety and workplace relations. But to get any reform, for example creating the national architecture for schooling to create a national curriculum body, and NAPLAN testing, that required all ministers of education around the country to agree. It took a couple of years to get that through. It takes time and trust. The best way you can achieve these things when you need others is to build a relationship of trust: person-to-person, or in the way that you operate. The Commonwealth Government traditionally has people who can come across as quite arrogant: ‘I’m telling you.’ That’s very old-fashioned. Nowadays, I hope you tend to find commonwealth public servants who say, ‘Look, this is how it is. If we’re going to say no, I’ll tell you why. If the money’s not going to flow, I’ll tell you why. I’ll give you enough time. I’ll just be open.’ I always found that if I offered information in a trusted way, it was always repaid. Always. The trust was never broken by anyone I dealt with. It was a huge privilege, every day. What did success look like for you? Can you give a couple of examples when you personally felt rewarded by the success of your leadership? In terms of my chief executive role, it was when we created new benchmarks in staff engagement, which we did constantly. 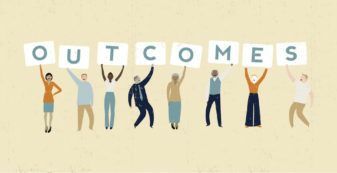 It was almost always the case that in staff surveys, our engagement scores set new benchmarks against the companies and organisations that were benchmarked. That meant that my approach to leadership worked, in terms of caring for people in a genuine way, accepting what people bring to the workplace from home life, supporting them when something goes wrong, and not allowing bullying and bad behaviour in the workplace. It worked. So twice, the department that I led was given the National Award from the Australian Human Resource Institute, for large organisation excellence in people management. I was chuffed about that; that was a sign of success. In terms of upwards towards government, basically, success was: offering top-rate advice that they appreciated – and one always knew if they appreciated it or not! And implementing their policies in a timely, efficient, not red-tape bound way. I was always pleased that in my department, we responded very positively to the government of the day, the minister of the day, and understood our role as public servants working to the government of the day. What are some of the things that have struck you about moving from government into the social sector, the work that you’re seeing across the sector and the challenges for leaders in the sector? What I’ve always loved about the social sector is it can be so much more flexible, agile, fast-moving, and it can foster innovation and experiment much easier than government. Governments are really good at analysing big data and long-term trends in data, and at offering solutions, which tend to be one size fits all, because you’re dealing with the whole nation. That’s not quite fair, but it’s hard when you’re dealing with a massive system to innovate quickly. Whereas the social sector can actually do that. We can experiment. If something doesn’t work, usually our funders will accept that, whereas the general public and the amazing scrutiny government’s under may not accept that. So I see the social sector as this brilliant complement to government. They do different things incredibly well. In terms of being a leader in the social sector, the pressures are immense. The funding pressures are immense. They are in government, too. Over a couple of years, I had to take 30% of people and money out of my organisation, but take on more work. It’s really hard. So the same thing: reflect on your own leadership, and decide what you stand for. Then I’d strongly advocate that everybody look at what SVA is doing by way of looking at system effects, rather than just taking a narrow slice of an issue that’s not going to have knock-on effects because it’s too complex. In a very sophisticated way now, SVA is taking a system perspective and making interventions that have an impact across a whole system. 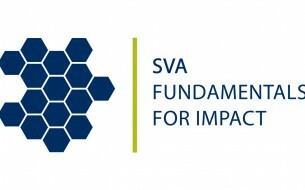 The other thing I love about SVA is we take a really business-like approach to investment and return on social impact. I would strongly advocate all social sector organisations to become as business-like. This means strong governance, strong accounting, strong financials, strong players on boards who come out of the financial sector. That makes a huge difference. What are your observations about how the social sector can feed more innovation into government and work with government in that space. There’s a big potential for that. The government could be more welcoming of it, and I think the social sector could push for it more. I’m gratified to see that when the government comes out with something which does fund innovation it’s not trying to do the innovation itself, it’s funding the social sector to do it – whether it’s the current National Innovation and Science Agenda or the innovation funds in the employment area over the years. Those things are important to participate in. But they’re also important to try to shape. I do think the social sector could be sitting down with government more frequently, forming relationships into government and supporting government to spend taxpayers’ money most effectively, including by experimenting. Including by being utterly clear about what works, and including innovative financial vehicles. Having moved from those public service roles, what do you see that you bring to the social sector organisations you’re working with? You’ll have to ask the other board members! Obviously information and insights about how government works is something I do talk about, because it’s an arcane and mysterious thing. You have to have been there to really explain how decisions are made. So that’s helpful. I hope that I offer some strategic guidance, or at least support. And I hope that because I’ve worked my whole life in the public sector and on disadvantage and addressing disadvantaged people’s needs, that I bring the right values and some knowledge of how to join the dots in the areas that we focus on. Do you have any advice and insights that you’d offer to leaders seeking to drive change in this complex world particularly across the social sector? Be really rigorous and analytical about focusing on the things that make a difference, and understanding that every dollar is precious and must leverage more value than it stands for. That means knowing the evidence, what works in whatever sector you’re working in, and then rigorously measuring the impact of your own interventions in whatever area you’re working in. It’s a sense of having rigorous compassion: you really care about what you do, but in a business-like way. Lastly, as leaders, reflect on the skills you might need to bring in, say in financials, in a business approach, in understanding investment and its impact (social return on investment) and for your own leadership: mentors, champions and support groups. It can be very lonely. Have a sense of how you might need to scale up and down, and therefore how you manage change. And never forget your own professional development. That’s incredibly important, because these jobs are quite lonely. Lisa Paul shares her experience as Federal Government secretary and her approach to leadership including: how to maintain a strong vision for a large department, how to motivate a large team amidst constant change, and her definition of successful leadership. Lisa also discusses the personal rewards, as well as the loneliness of the role, and her views on the role of government and the social sector in innovation.